The Witcher 3 4K PS4 Pro Version Coming Soon | Nerd Much? The Witcher 3 will be coming to the PS4 Pro "in a few days" and to Xbox One X later this year. Ever looked at Horizon Zero Dawn on the PS4 Pro and thought about that other game with the mountains and amazing detail? Well, it seems that you’re in luck. In a recent presentation from CD Projekt Red detailing their financial results of the past year, president of the studio Adam Kicinski stated that The Witcher 3 will be coming to the PS4 Pro “in a few days” and to Xbox One X later this year. There was no exact date announced, but it has been in the works at least since E3 2017. Whether or not we will actually see it released is another matter. I imagine a more formal announcement and trailer will be coming in a few days, not necessarily the actual PS4 Pro game. There will likely be a special edition with Gwent attached, or some kind of artwork. All of which will be tempting and with hefty price, but definitely worth it for some fans of the series. Seeing The Watcher 3 in 4K will certainly be stunning, probably even more so than Horizon Zero Dawn. There are so many monsters that would benefit from an upgrade in detail, or the windswept vistas of Skellige. The Leshen would be one such monster, who certainly looked the part of an old god that required one too many sacrifices. Nothing more about the 4K version was said, nor did CD Projekt Red give anything away about Cyberpunk 2077, their current IP. We’ll just have to wait that one out. Though the lack of information is probably a good thing. Especially in contrast to the over saturation of other games’ marketing, like Life is Strange: Before the Storm or Middle-Earth: Shadow of War. Particularly with an epic like that latter, the less we see of that game, the more likely we are to buy it. A little mystery is good in the world of video game promotion, it promotes speculation and stirs the imagination. Unless of course, you’ve read the Cyberpunk books. 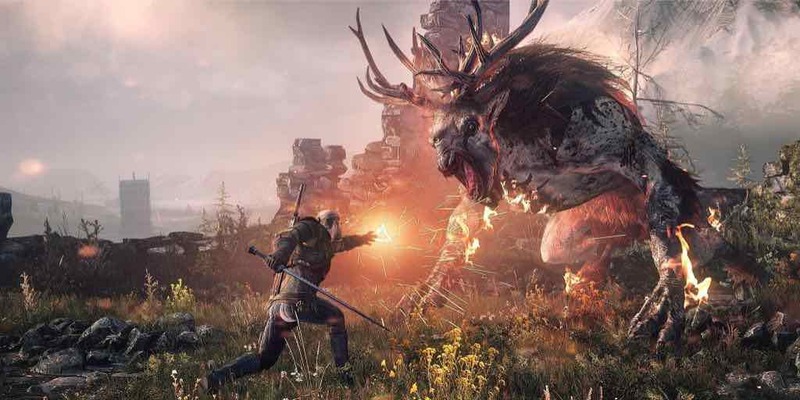 Are you looking forward to seeing The Witcher 3 in 4K? Let us know your thoughts in the comments below!